Live music on Stanley Park Bandstand Blackpool. 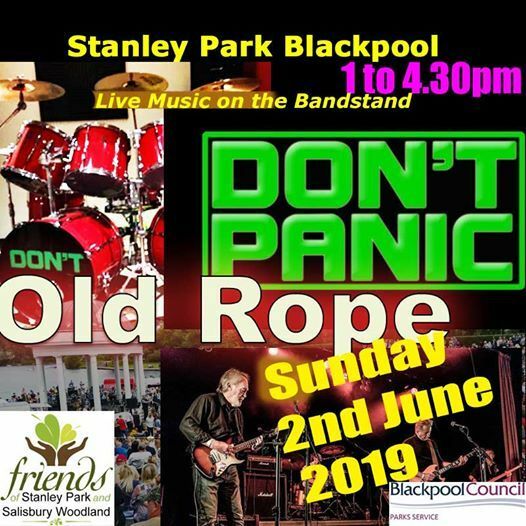 With Don't Panic and Old Rope. Sunday 2nd June 2019. 1pm to 4.30pm. Another great show. A volunteer group who assist where-ever they can on the park in conjunction with the Park Management. Arrange and steward summer shows on the bandstand.